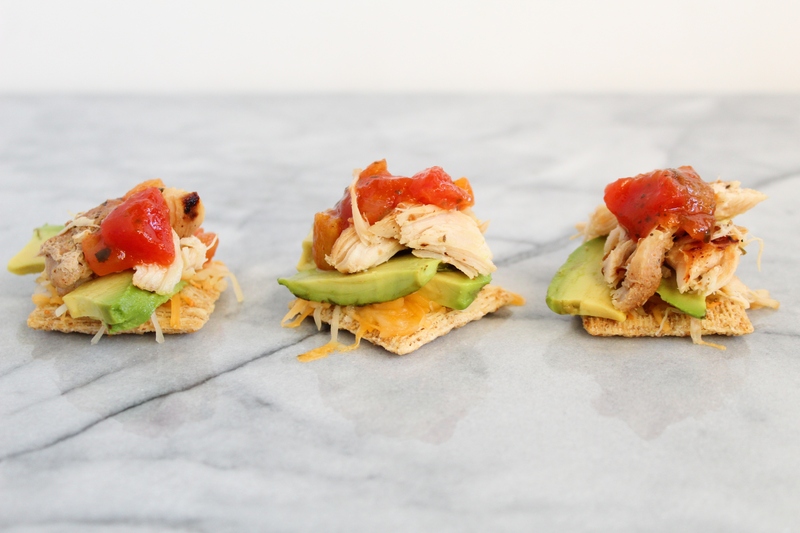 Say hello to your new favorite appetizer, snack, or lunch idea. 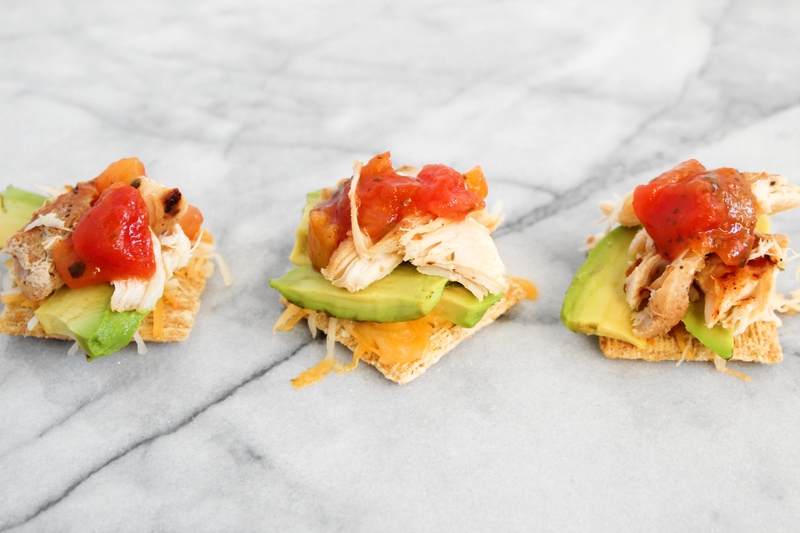 In less than 10 minutes, these 5 ingredient mini cracker sandwich bites can be yours. This month’s recipe redux challenge is all things sandwiches. To be honest, I’m kind of a sandwich snob. I usually only like them if they’re toasted or warm. Two slices of bread, mayo, ham, and cheese… no thank you! For this recipe, I wanted to create a sandwich just as simple as the classic ham and cheese, but with a little more pizzazz! Meet my mini cracker sandwich bites. 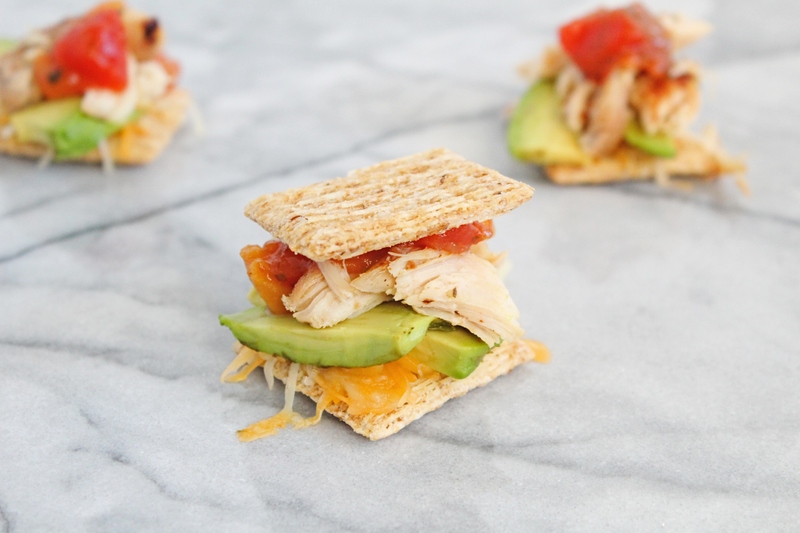 These 5 ingredient beauties are topped with cheese, avocado, shredded chicken, and salsa. I love using low sodium, whole wheat crackers to add a whole grain source. Line 12 of the wheat crackers on a baking sheet. I used my toaster oven on level 3 for 2½ to 3 minutes. You can also use an oven pre-heated to 350 degrees. Add a sprinkle of cheese to each cracker. Place the crackers in the oven to melt the cheese. 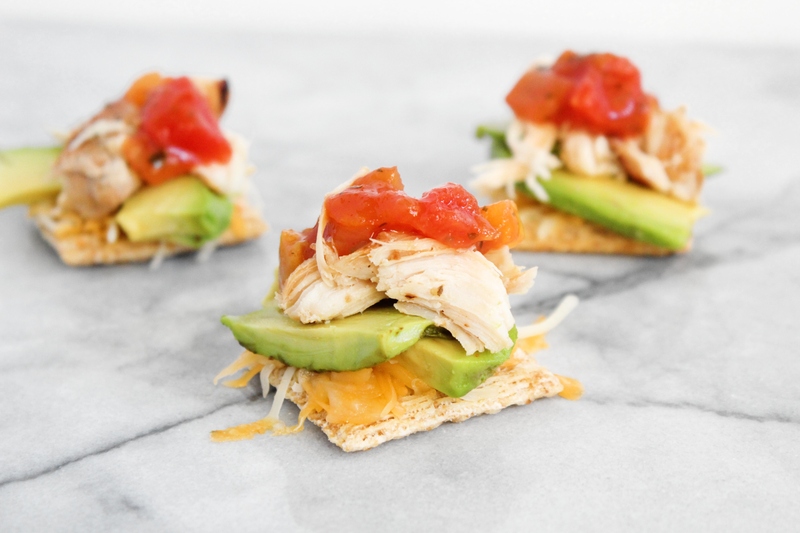 Once the cheese is melted remove and top with sliced avocado, shredded chicken, and salsa. Top each cracker with another cracker to create a "sandwich". Like this simple recipe? Pin it for later! Love this idea for a light lunch!